Here you can read the curricula vitae of our international trainers. Odeth Bloemberg – van den Bekerom was born in 1976 in Venray, The Netherlands. She studied psychology at the Tilburg University and pedagogics (science of teaching) at the Free University in Amsterdam. She is working as a school psychologist for 15 years now. Starting with diagnostics and treatment of children with specific learning disabilities in a psychological practice, she noticed the constraints of working in a small environment: the lack of transfer of the tuition and in this way the lack of communication and cooperation with school teachers. This leaded to different jobs within the Dutch school system: a small special educational school for children with a mental disability, a secondary vocational school and a combined school. Nowadays she is a school psychologist, working in schools for special education for children with mental and physical disabilities and psychiatric problems. She is registered as a child & youth psychologist and EMDR practitioner. 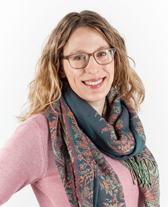 Kristina Bøge Meyhoff has been working as a school psychologist in Denmark since 2012 with fields of expertise in behavioral and learning disabilities, crisis intervention and trauma counselling. Since 2013 she has been a member of the crisis team for schools in PPR Silkeborg, Denmark. Kristina has given national and international presentations and trainings. Dorte Holsting has been working as a school psychologist in Denmark for about fifteen years with fields of expertise in behavioral and learning disabilities, supervision off pedagogical personnel, anxiety treatment (Cool Kids), crisis intervention and trauma counselling, and lately as well counseling targeting children of refuge. Since 2013 she has been a member of the crisis team for schools in Silkeborg, Denmark. Dorte has given presentations and trainings. Marianna Ruby Horsholm has been working as a school psychologist in Denmark since 2000 with fields of expertise in behavioral and learning disabilities, crisis intervention and trauma counselling. She specializes in working with refugee children and families and their healing process following traumas. She is also working with children with social and emotional problems and the treatment of children troubled by anxiety. Since 2013 she has been a member of the crisis team for schools in Silkeborg, Denmark. Marianna has given presentations, supervisions and trainings. Dieter is married and has an adult son. Adelheid Kurth, was born in 1977. She studied psychology at the University of Göttingen, Germany and 2002 she obtained the diploma from this University. Since 2002 she has been working as school psychologist in Baden-Württemberg, Hessen and from 2012 in Lower Saxony. In 2004 she participated in the basic and advanced course of „Crisis Management in Schools“ (ESPCT) and then defined crisis management as one of the main focuses of her work. In three different organized school crisis teams of Germany she has been a member and has gathered a wide variety of experiences. Since 2008 Adelheid has given presentations & national trainings for school psychologists, headmasters and teachers. She is married and lives with her husband in the middle of Germany. Véronique Le Mézec has been a psychologist in French schools since 1991, and has worked as psychologist for children with learning difficulties in hospitals since 2014. She studied psychology and Linguistics at the University of Haute-Bretagne- Rennes 2 and the University of Paris V-Descartes. During her studies, she worked with adults with psychiatric difficulties, as well as children and teenagers with special needs. AFPEN - French Association of Psychologists in Public Schools, since 1990, past president and delegate to ISPA for AFPEN, and takes part in Crisis Intervention training for psychologists. She is also involved in the training of teachers and psychologists at the university, gave lectures and conferences about liaison with parents, deontology, and crisis intervention. She has attended and taken part in the training organized by the ESPCT (European School Psychology Centre for Training). Drs Olanda Momcilovic has been working for more than 25 years as a psychologist. First she worked 6 years as a school psychologists in Croatia, specialising in working with gifted children. During the war in Yugoslavia 20 years ago, Olanda started getting involved with working with refugees, helping them with their trauma, grief and building up of resilience. In the last 18 years she has been working in the Netherlands, amongst others at the Institute for Children with behavioural and learning disabilities. She coaches teachers and social workers in their work with the children and their parents. Since 2008 she has her own practice. Olanda has been a member of Crisis intervention team of school psychologists of NIP (The Netherlands Institution for Psychologists) since 2003. She supports schools in crisis response and gives lectures on trauma, stress and crisis management. She is chairwoman of the International Crisis Response Network by the ISPA (International School Psychology Association) and Secretary and trainer by the ESPCT (European School Psychology Centre for Training). She is also a member of the NtVP ( The Netherlands Association of Psychologists working on Psycho-trauma). Olanda has given presentations, workshops and trainings in various parts of the world (amongst others in Sri Lanka, Ukraine, Cyprus, USA, Lithuania, UK, Japan, Slovakia..). Was born in Israel and lives in Shavey-Zion (western Galilee in the north of Israel). She is married and has four children and five grandchildren. She obtained her B.A. degree in Educational counseling Haifa University Israel 1971, her M.A. Degree in Clinical Psychology- J. F. Kennedy University Ca. U.S.A. in 1983 and her Ph.D. degree in Human Behavior –Newport University, U.S.A .1996. She is a certified trainer of Family and couple Therapy since 2003 and ended her study in Medical Psychology in 2003. Since 2003 she is a member of ISPA. At the same year a memberof the International Family Therapy organization. She worked as a school counselor since 1971 and as a school psychologist since 1983. In 1983 she joined the Israeli Education Ministry Regional & National Emergency Team. Since 1992 a member of the Community Stress Prevention Center (CSPC) in Kiryat Shemona (in the north of Israel). She has trained and gave workshops guidance , and professional help (Helping the Helpers) to school psychologists, school counselors andsocial workers in Israel. She has been treating terror-attacks victims and people who undergo other traumatic experiences. 2005-2006 Sri- Lanka - Post Tsunami Training for medical and Psychological helpers. As a member of a special Helping the Helpers project . Since 2004 she has been part of the trainersteam of EU and ISPA for crisis management in schools, organized by Mr. Bernhard Miessner, and had trained many school psychologists . In 1999 -2000 in Istanbul –Turkey she trained mental health professionals-Clinical and school psychologists in crisis management and in post –trauma methods and skills, following the great earthquake, in the project “Hands“:( Helpers assisting natural disasters ). In 1993-1995: Helping The Helpers in several countries of former Yugoslavia as a facilitator in UNICEF projects. 1991-Intervention and treatment with Gulf war victims in Israel . Her main professional interests are in school crisis management, treating trauma and post trauma victims. She had published articles about crisis management. Bill Pfohl is a Professor of Psychology at Western Kentucky University in Bowling Green, Kentucky. He has trained school psychologists for 30 years. Bill obtained his bachelor and masters degree in school psychology from St. Bonaventure University in upstate New York. He received his Doctor of Psychology (Psy.D.) degree from Rutgers – The State University of New Jersey – Graduate School of Applied and Professional Psychology in 1979. He is a licensed psychologist in Kentucky, and a certified school psychologist in New York, New Jersey, and Kentucky. He is a Charter, Nationally Certified School Psychologist (NCSP) sponsored by NASP. His professional interests are school safety, school crisis intervention, and research on emotional intelligence in students. He was National Association of School Psychologists (NASP) President twice (1996-97 & 2005-06). He serves on NASP’s National Emergency Assistance Team (NEAT) since 1997, responding to school crises. He is currently Co-Chair of NEAT (2008-2010). He is currently the President-elect of the International School Psychology Association (ISPA) - (2007-09). He has written several articles and a book chapter about crisis intervention. Bill has trained school psychologists in school crisis intervention in the United States and internationally. Bill has led three NOVA sponsored crisis response teams in the United States. He has responded to numerous crises in Kentucky and his home region. He is the Senior Mental Health Coordinator for the Southcentral Kentucky Chapter of the American Red Cross. Bill was awarded Rutgers University - Graduate School of Applied and Professional Psychology Alumni Peterson Prize for Outstanding Contributions to the field of professional psychology in 2000. He was also awarded the Joseph P. Cangemi Leadership in Psychology and Education Award in 2002 at Western Kentucky University. He is listed the Who’s Who in America – 60th Anniversary Edition (2005), as well as Who’s Who in Science and Engineering (2006). He enjoys traveling, photography, technology, and jogging. He is married and father of three and has one grandchild. Keith Ratcliffe was born in 1955. He is a Senior Educational Psychologist working in the North-East of England. He received a BSc in Psychology at Bradford University in 1979. He then achieved a teaching qualification (PGCE) from Matlock College of Higher Education in 1980. He worked as a Maths teacher in London from 1980 until 1985. He qualified as an Educational Psychologist (MSc) from the University of Newcastle upon Tyne in 1989. For the past 25 years he has worked as an Educational Psychologist in Wales, South Tyneside, and Sunderland. He presently works in a variety of educational settings in the City of Sunderland. He is responsible for organising the Crisis Response team for the Educational Psychology Service in the city. Jan-Erik Schmidt was born 1971 in Stuttgart. He studied Psychology in Tuebingen, Germany and worked as a psychologist in a residential youth home (2000-2004), in a family-counseling-center (2004-2008) and since 2008 as school-psychologist. He is solution-focused family therapist. Since 2010 he is coordinator of the local crisis-intervention-team and member of ISPA. Dr. Yehuda Shacham (M) was born in Israel 1948 and lives in the Galilee in a small town Karmiel. Yehuda obtained his B.A. degree in psychology and educational counseling (1972) and his M.A. degree in social psychology (1982), Tel Aviv University, Israel. He received Ph.D. degree in Human Behavior Newport University Utah, USA, 1996. In 1985 he was accepted as a member in Educational and the Medical Sections of the Israeli Psychological Association, as well as in the Israeli Association for Marital and Family Therapy. Since 2003 he is a certified trainer in marital and family therapy. He worked as a an educational counselor and as school psychologist from 1979 till 1998 in the western Galilee and since 1980 is a Member of the Israeli Education Ministry regional & National Emergency Teams. In 1990 he became a team member in the community stress prevention center(CSPC ) in Kiryat –Shemona in the north of Israel, and from 1992 till 1996 he served as the Deputy director of the CSPC. His professional interests are crisis management and family therapy for bereaved and trauma affected families. He has written several articles and book chapters about crisis intervention and crisis management. He took part as an helper for individuals, families, schools and communities following many terror attacks and other disasters in Israel and since 1990 trained numerous professionals and paraprofessionals in crisis intervention and management. He took part in special project for empowering and training psychologists and other professionals following natural and man maid disasters: 1993-5 former Yugoslavia civil war, 1999-2000 post-earthquake Turkey, 1994-5 school hostages and massacre Beslan North Ossetia, 2005 post Tsunami Sri Lanka, 2006-2007 Mississippi USA Resilience Training for police & fire brigade following hurricane Katrina. Since 2004 he has been part of the trainers’ team of EU and ISPA for crisis management in schools, organized by Bernhard Meissner. Yehuda is married and has three children and two grand children. Since his first grandchild was born, he quitted practicing paragliding and now enjoys mountain biking and grandparenthood. Marlene Stibal was born in 1982. She studied psychology at the University of Bremen, Germany, and social psychology at the Open University (Milton Keynes, UK). She is also certified in trauma-counselling (DeGPT / German Association for psycho-traumatology). From 2008 to 2011 Marlene worked in a project for schools in the North of Germany, training teachers and students in preventing violence. Since 2011 Marlene has been working as a school psychologist in Bremen focussing on emotional problems, trauma-counselling and crisis intervention. In 2013 and 2014 Marlene and her colleagues set up a crisis team for schools in Bremen – trained by ESPCT. Marlene is responsible for the organization. Since then she has been working as a multiplier – for colleagues in Bremen and since 2018 as a national ESPCT-trainer. Marlene has been performing improvisational theatre for 14 years and endeavors to bring creative spirit to her trainings. Laura Wintjen has been working as a psychologist in Northern Germany since 2009. At first, she worked at a child and adolescent psychiatry and a psychological outpatient clinic for children with behavioral and learning weaknesses and their families. Since 2012 she has been working as a school psychologist, initially in Lower Saxony, then in Bremen, with fields of expertise in crisis intervention, trauma counselling and addiction counselling. Laura has given presentations and trainings. She also worked as an adjunct lecturer at the Universities of Bremen and Hannover. She is a member of the crisis team for schools in Bremen.